Mahindra is giving the TUV300 a mid-life update and the new set of spy pictures reveal the changes made to its rear and side. The Mahindra TUV300 facelift gets new smoked lens tail lamps and spare wheel cover. The design of the 2019 Mahindra TUV300 remains unchanged. It gets new elements such as smoked lens tail lamps and revised bumper. It gets sleeker looking roof rails. Mahindra is geared up to give the TUV300 subcompact SUV a mid-life facelift and the test mule of the new model has been spotted testing again. 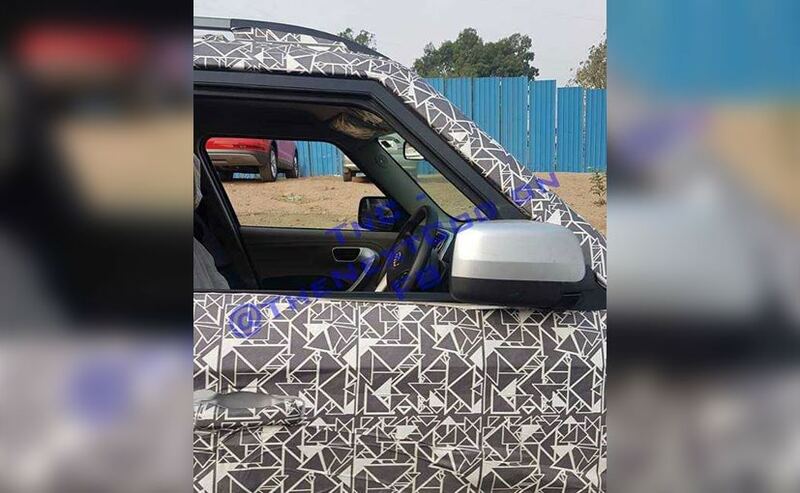 A new set of spy pictures which have surfaced online showing a heavily camouflaged TUV300; but reveals the side and rear of the SUV. 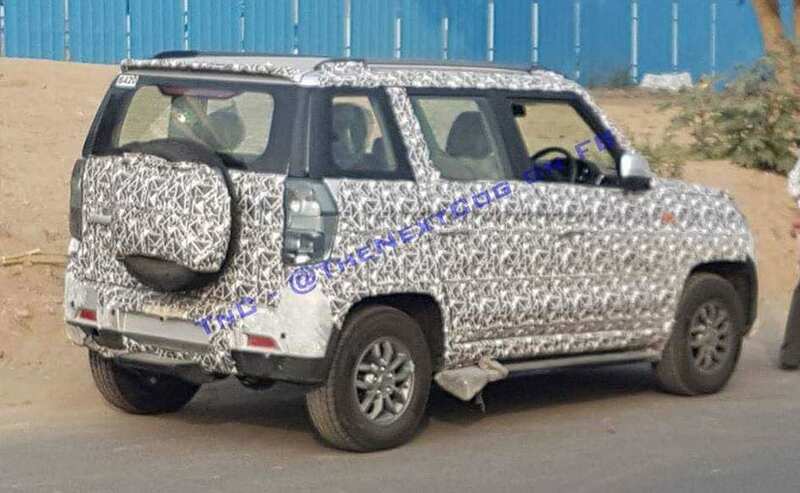 These latest spy pictures give us a slightly better idea of the SUV as there are some elements which have been adopted by the company to enhance the look of the car. The overall design and silhouette of the TUV300 remain unchanged though. The rear now houses smoked glass tail lamps, a new design for the rear door mounted spare wheel cover and a slightly tweaked rear bumper. At the side there are new and sleek looking roof rails but the design of the alloy wheels remains similar to the current model. The previous spy pictures had shown a new set of alloy wheels on the TUV300. Other features that we expect on the TUV300 are updated headlamps, LED daytime running lamps and a new chrome-stud grille which will give it the family DNA. The 2019 Mahindra TUV300 facelift gets sleeker looking roof rails. Mahindra has already said that the TUV300 and KUV100 among other high volume models will be updated to comply with the upcoming crash test and emission norms. We expect the facelifted model to come with dual airbags, ABS and rear parking sensors as standard. We expect no changes to the engine of the car and it's likely that the engine used on the XUV300 will make its way on the TUV300. But that has not yet been confirmed by the company.